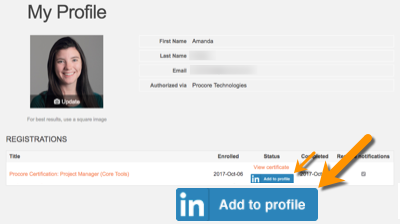 Become a "Procore Certified Project Manager (Quality & Safety)" by demonstrating your understanding of Procore's tools and best practices. 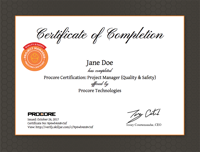 The "Procore Certification: Project Manager (Quality & Safety)" course is designed to specifically train project managers and project engineers, and project coordinators on how to most effectively use Procore's Quality and Safety construction management software platform. Learn the best practices of how to use each tool in Procore's Quality and Safety product line (e.g. Inspections, Observations, Punch List, etc.) by going through our self-paced modules, which include training videos, best practices, interactive workflow diagrams, quizzes, and links to additional resources. We realize that most users will not have the ability to complete all of the training modules in a single session, which is why we've designed a flexible and modular course where you can learn at your own pace. Complete modules at your own pace and resume your training at any time. 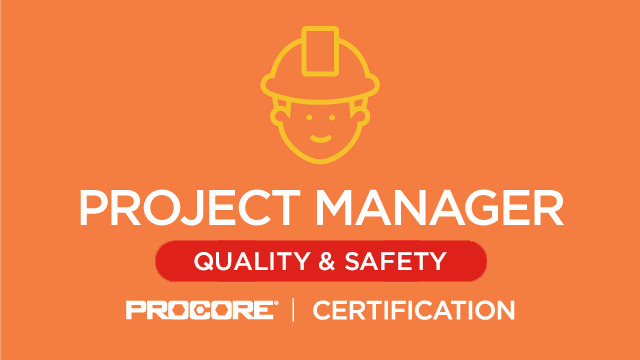 Earn a "Procore Certified: Project Manager (Quality & Safety)" certificate upon completion of this self-paced training course. Learn how Great Southwestern Construction Inc. uses Procore to document on-site conditions using aerial data from drone technology.